Borno State Deputy Governor, Usman Mamman Durkwa, accompanied the Emirs to their respective palaces in Askira/Uba local government area of Borno State, where huge jubilant crowds welcomed them. Mr. Durkwa was first hosted at the palace of Emir Abdullahi Mai Muhammadu Askirama before the Emir of Askira took the Deputy Governor to the destroyed secondary school in Askira. The emir urged the state government for quick reconstruction of the school. 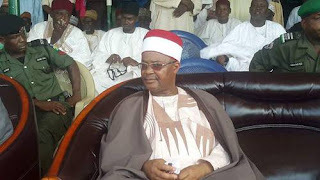 Mr. Durkwa later proceeded to the palace of the Emir of Uba, Ali Ibn Ismaiya Mamza. The traditional ruler also appealed for the quick resumption of schools and the provision of tractors and fertilizers for farming. Mr. Durkwa promised the communities that the reconstruction of the schools and hospitals would commence soon to enable school-aged children to go back to class after almost two years of non-attendance. 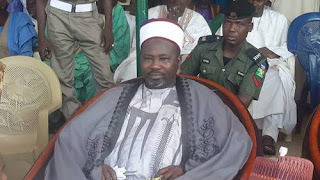 Close to two years ago, Boko Haram insurgents murdered the Emir of Gwoza when he was on the way to Gombe for a funeral. Thereafter, Islamist insurgents took over palaces in Gwoza, Bama Askira,Uba and Dikwa respectively. Some traditional rulers, including the Emirs of Bama and Dikwa, are still resident in Maiduguri, the capital of Borno State, as refugees.